A Hong Kong television station made Hongkongers’ blood run cold when it aired a program with subtitles in Chinese characters used in the mainland. As of late afternoon on Feb. 24, more than 13,000 viewers have lodged a complaint with the Hong Kong government’s media regulator after local broadcaster TVB used simplified Chinese characters for a news bulletin on Feb. 22, according to Apple Daily, a Hong Kong daily newspaper. In Hong Kong, Chinese subtitles have always been in the traditional script. When placed side by side, even those unfamiliar with written Chinese will see a clear difference between the traditional and simplified Chinese script—characters in the traditional script typically have more strokes. Those educated in the traditional script also find simplified characters devoid of deeper meaning or plain nonsensical. Mainland media noticed the quarrel and promptly chimed in. The Global Times, a state-run nationalistic publication, criticized those who viewed the two Chinese scripts as representative of one’s identity as “ignorant.” “The promotion of simplified Chinese dated back to the 1920s and 1930s, during which “the Nationalist government adopted [the simplified Chinese characters] to help people to learn and wipe out illiteracy,” the article wrote in clumsy attempt at historical fabrication. The Nationalists stuck with the traditional script, and brought it with them to Taiwan off the coast of south China in 1949 after being beaten by the Chinese Communist Party in a protracted civil war. Today, the people of Taiwan still use traditional characters. Under Chairman Mao Zedong, the Communist Party simplified Chinese characters in the 1950s after more radical plans to use latin letters were abandoned. Hong Kong, then a British colony, escaped the communist language experiment. 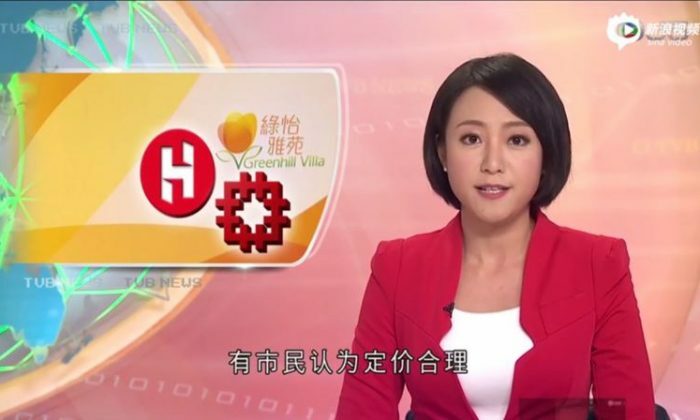 TVB’s move came just days after another language controversy in Hong Kong. Victoria Beckham, the former Spice Girl and wife of retired soccer star David Beckham, had originally announced the opening of her new clothing store in Hong Kong on social media using simplified Chinese characters, much to the chagrin of Hongkongers. Hongkongers have become increasingly concerned in recent years over what they perceive to be the Chinese regime efforts to tighten its grip over the semi-autonomous region. Fears that communist China’s influence is rapidly eroding indigenous Hong Kong culture and freedoms are reflected in “Ten Years,” a hugely popular 2015 Hong Kong movie that outgrossed the international hit “Star Wars: The Force Awakens” in some theaters when it was first released. In one of the film’s five short stories, a Cantonese-speaking local taxi driver is driven out of work because he cannot speak Mandarin, the official dialect on the mainland and new legal work requirement in a fictional 2025 Hong Kong. People in Hong Kong are fighting to free themselves from China’s influence.